Read on to find out more about Sarah’s work, view her gallery and videos of an interview and demonstration of her craft. After graduating from Edinburgh College of Art in 1995 Sarah gained a wealth of experience working at Hamilton and Inches, Edinburgh, for 14 years. Sarah has now set up her own workshop where she designs and makes both silverware and jewellery. 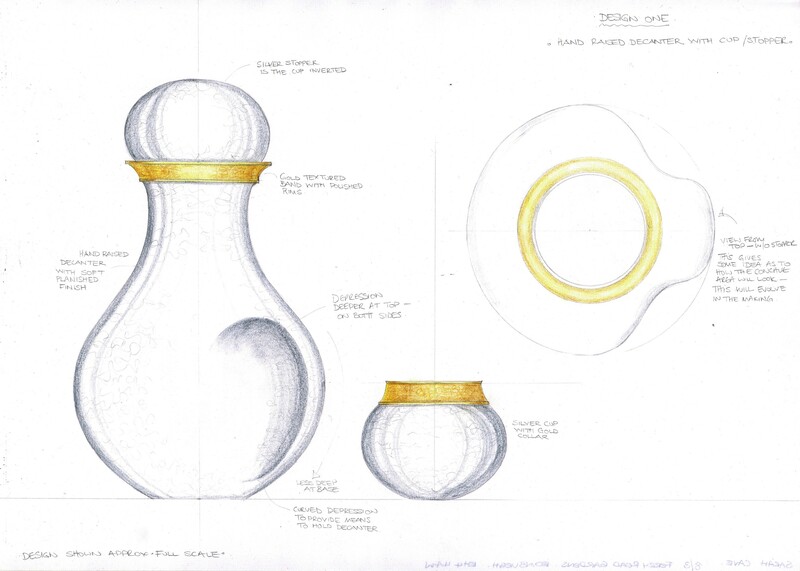 Sarah created the claret jug for Sir Cameron Mackintosh. 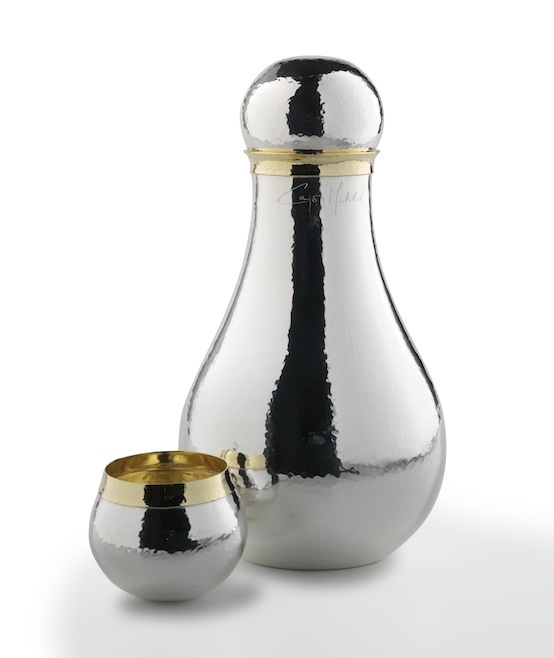 Sarah designed the lid of this cheerful looking claret jug to be removable and create a second drinking beaker so that Sir Cameron can then enjoy his drink with a close friend. Sarah raised and spun the jug from a single sheet of silver, before hammering the surface to create this fascinating multi-reflective effect.